It's never too early to start thinking about Christmas is it? My great-aunt Mary (god rest her soul) bought all her Christmas presents in the boxing day sales - you never got what you wanted but hey she got it for at least 50% off. Savvy shopping indeed. I tend to wait until December, I love the buzz of a hustling town centre in the run up to Christmas and I'm not going to lie the Christmas Carol's go down a treat too. If you like to start early here is a sneak peek of what to expect from my favourite perfume house - Thierry Mugler. As always there is coffret's from Alien and Angel which each contain an Eau de Parfum, a shower gel and body cream. 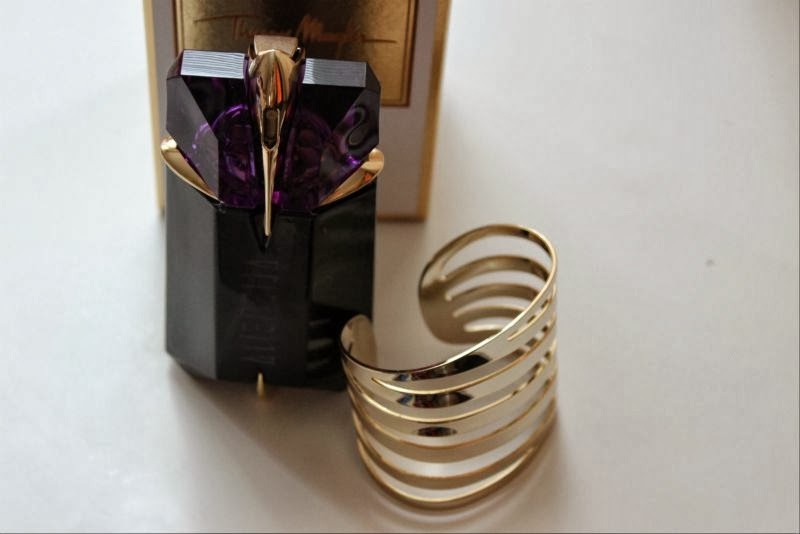 There is also a Jewel Collection which again features the best selling Alien and Angel fragrances each coming complete with a beautiful cuff that you can use to decorate the bottle or wear on your wrist. Lastly there is Angel Brilliant Star Eau de Parfum which is utterly beautiful, this time around the Angel bottle has been inspired by midnight skies - a black bottle with lots of tiny Swarovski crystals which really would be the perfect gift for any Angel fan. All the new launches and sets will be in store and online from the 1st of October. HUGE fan of Angel, I like to think it's my signature scent! It doesn't seem to be to everyone's taste though.. The set may just have to be a gift to myself this year as I'm nearly running out of my current bottle!